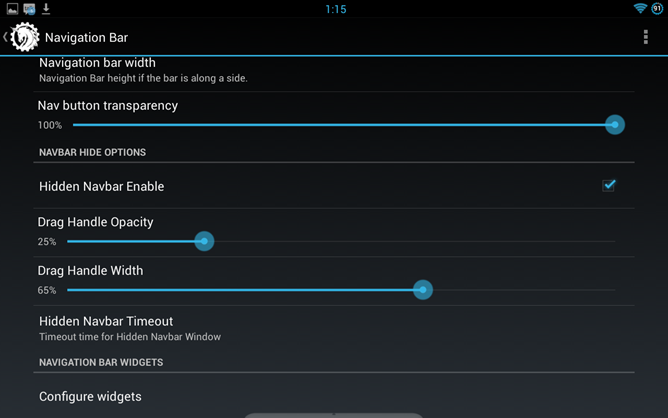 AOKP Jelly Bean 4.2 Release 3: Galaxy S II And Note II Support, Auto-Hide Nav Bar, Tablet Mode Lives! The Android Open Kang Project ROM developers are taking longer and longer in between updates, but when they post one, it doesn't disappoint. The third official Jelly Bean 4.2 release includes support for the Acer Iconia Tab A510, the international Galaxy Note II LTE, and T-Mobile's Galaxy S II. (Owners of the international Galaxy S II and the Texas Instruments i9100G variant: check AOKP's website tomorrow for an updated version.) There's also a lot of new features in the build, most of them centered around the user interface. 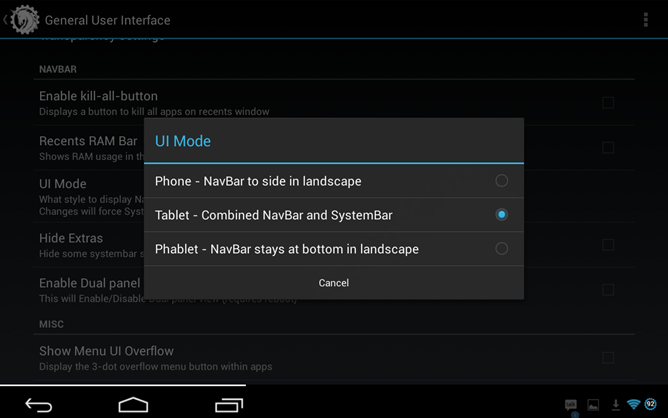 First and foremost: tablet mode is back! For those of you scratching your heads, "tablet mode" is the colloquial name for the combined tablet navigation and status bar introduced in Honeycomb 3.0, and officially abandoned by Google with the release of the Nexus 10. Users who prefer the combined layout (like me) can now use it on AOKP ROMs again. Unfortunately, the implementation seems a bit half-baked - the combined bar on my Nexus 7 overlaps the interface, making plenty of apps unusable. For a more modern approach, you can use the new auto-hide navigation bar function. This is similar to the PIE system in the Paranoid Android ROMs: when the setting is enabled, the default navigation bar will be hidden, allowing apps to take up nearly the entire screen. When you need it, swipe up in the activation area (the little white tab in the screenshot above) to bring it up for a few seconds. I think this approach actually works better than PIE, since the navigation bar will stick around as log as you need it, allowing for multiple presses without re-doing gestures. By the way, that white tab can be resized and made invisible. Other additions include the old Google Car Home, the return of quick unlock and Gingerbread-style recent items, and "Transparency control for all the things!" For those of you already downloading, remember that AOKP requires a fresh Gapps flash over every new release.